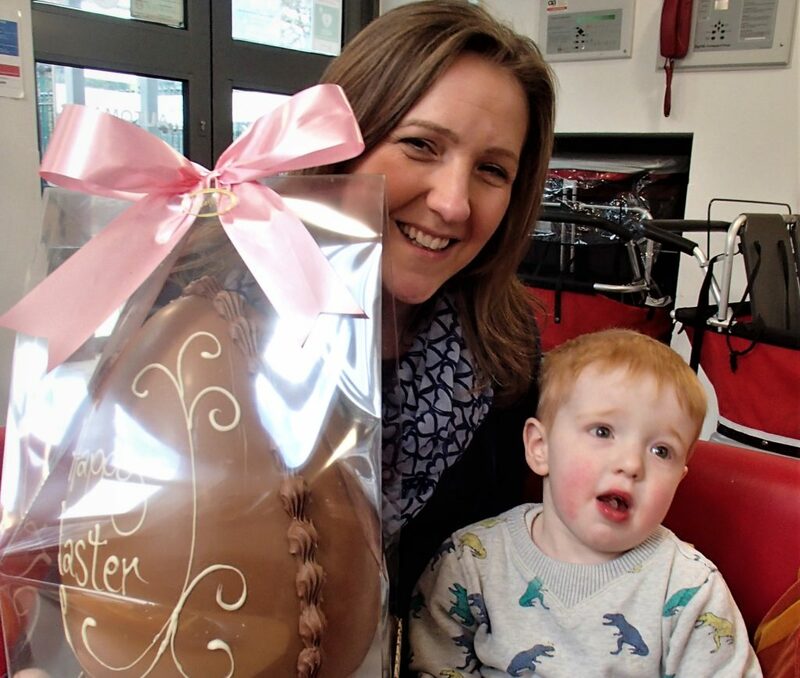 North West charity, Friends of Rosie, signed up supporters across Greater Manchester and Cheshire to take part in their annual Easter egg raffle fundraiser. The huge handcrafted eggs provided by master chocolatier, Slattery. With the help of local and national businesses, schools and community groups, we raised almost £3,500 this Easter. The money will be used to get more new and innovative research ideas off the ground to help children with cancer. 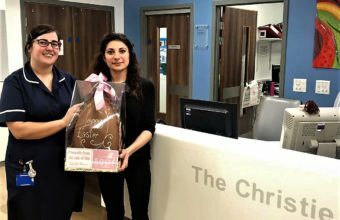 Milena Kalaitsidou (below) at The Manchester Cancer Research Centre, who kindly donated her prize to the young oncology unit at The Christie hospital. Harry Gormley and his mum Lisa (above) from Kids Allowed nursery in Macclesfield. The full list of supporters who ran Easter egg raffles is: Kids Allowed, Investec Wealth & Investment, RMS PR, Bridgewater School, Hale Preparatory School, Brown Bag Animations, The Riverside Café Audenshaw, The Manchester Cancer Research Centre; The University of Manchester, Deans Court Chambers, CVS Vets, Premex Services, Liveseys and St Cuthbert Church Withington.